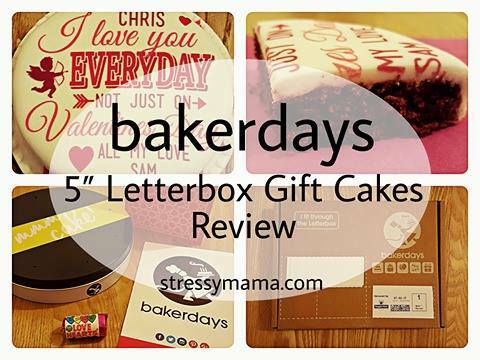 When the lovely people at bakerdays asked me to review one of their 5” Letterbox Gift Cakes I didn’t hesitate with my response because, well, its cake. How could I say no to cake? 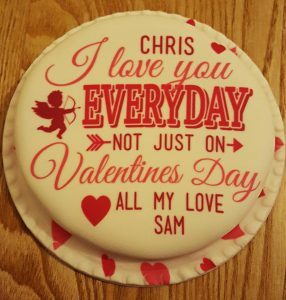 Especially as Valentine’s Day is almost upon us and a personalised cake would make the perfect gift for my fiancé Chris. 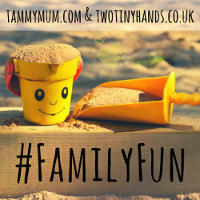 Ordering a cake from bakerdays is so simple, and their website is really user friendly which is brilliant for technologically challenged people like me! For my review I chose the 5” Letterbox Gift Cake, with red velvet sponge and I personalised a Valentine’s Day design. The service I received from bakerdays was exceptional. 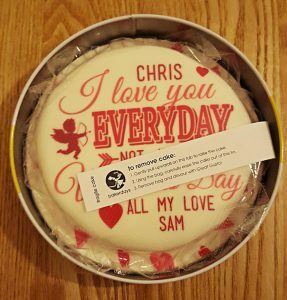 I sent my order details through on the Friday evening and the cake arrived on Wednesday. 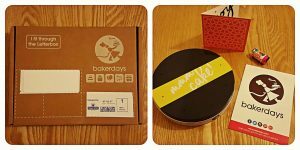 bakerdays deliver six days a week and if you order your cake before 2pm, they can deliver the next day! I was very impressed with the packaging and presentation of the cake. It was delivered in a box which fit perfectly through the letterbox. Inside of the box there was a little round tin which contained the cake. There was also a greetings card, an informational leaflet and a packet of love heart sweets. Chris is quite partial to a packet of love heart sweets so that made his day! Inside the tin the cake is wrapped in a plastic bag to keep it fresh, with a fancy little tab on it which helps you to take the cake out of the tin without damaging it. The cake was really pretty. The red velvet sponge is covered in white icing and had a layer of buttercream at the base of the cake. The design on the cake was nice and clear, looking exactly like it does on the website picture. 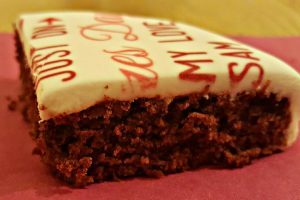 I am not usually a lover of icing so I was delighted to find that the icing on this cake tasted lovely, not too sweet and it didn’t overpower the cake at all. The red velvet sponge was soft, fluffy, and very fresh. It was delicious; as was the buttercream. Both Chris and I were very impressed with the whole process, from the ordering and delivery, to the presentation and the taste of the cake. I really love just how personalised your cake can be. There are vast amounts of designs to chose from, you can pick a cake size to suit your needs, and you can even chose your favourite flavour too. 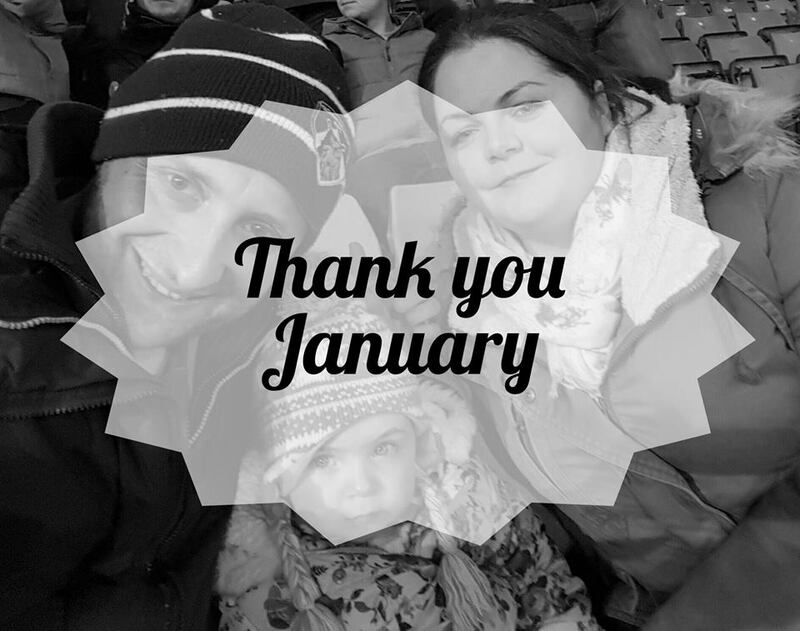 I think what impresses me the most is the fact that bakerdays cater for people with specific food intolerances, with a dairy free or wheat and gluten free cake – perfect for my dairy intolerant daughter and her looming 3rd Birthday! They even do cupcakes. I will definitely be recommending bakerdays to my friends and family, and I will be using the service again myself in the very near future. 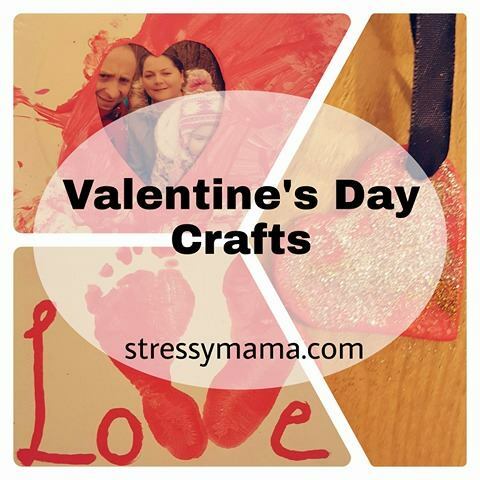 If you would like to check out how amazing bakerdays are for yourself, you can find them at their website, on Twitter, or on their Facebook page. As always, thank you for reading. I’m off to have another piece of cake now..
Looks delicious. I’ve seen a few reviews of these and it always amazes me that they get through the letterbox intact.